Are you an authentic Italian food lover? 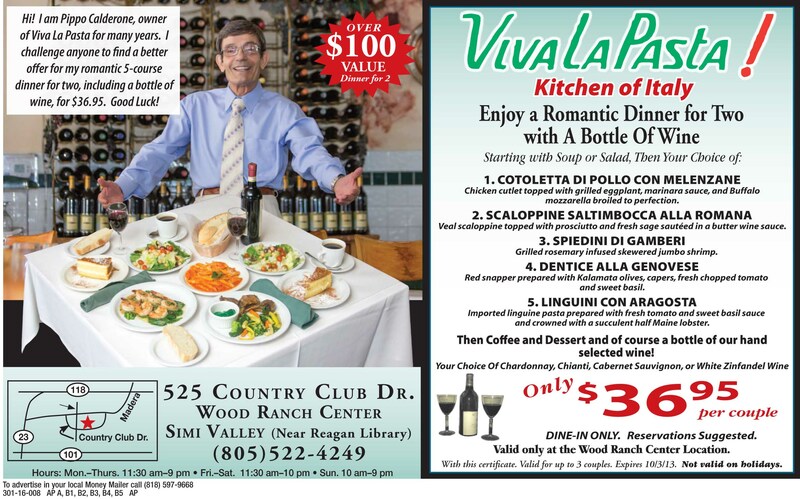 Does Italian cuisine make your mouth water? 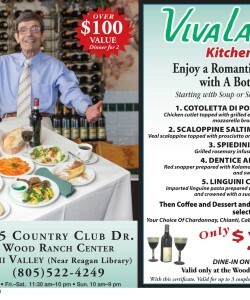 You can fix that when you use this VIVA LA PASTA DISCOUNT COUPON. 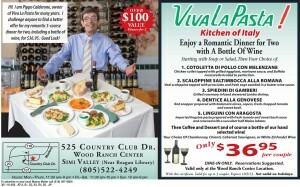 This coupon entitles you and someone else (a couple) to feast on their food for only $36.95! You have a choice of Cotoletta di pollo con melenzane, Scaloppine saltimbocca alla romano, spiedini di gamberi, Dentice alla genovese, or Linguini con aragosta. And that includes a bottle of wine starting with soup or salad. You cannot beat that! The wine comes in choices as well: Chardonnay, Chianti, Cabernet Sauvignon or White Zinfandel. And then, you can have coffee and dessert. Oh my! If you’re feeling romantic, this is a great place to go. All this food for little to nothing. It makes you say Mamma Mia! This is a value over $100 for less than $40. They have recognized budgeting families! Call up your sweetie or get your husband and wife and dress up for this special occasion. You can bet you will have a good time eating all this delicious food. Italy at its finest. It’s hard to think that you can get all this food at such a low price, but it’s right there for you to enjoy. This is so good that you can’t possibly keep this to yourself. Spread the word and watch the masses come in! And it gets even better. This coupon is valid for up to 3 couples, so you can bring a couple of your friends and you can all enjoy a grownup night out on the town. That can be rare as you have daily demands. It’s time to let your hair down and go enjoy some delicious food! Put it on the calendar.